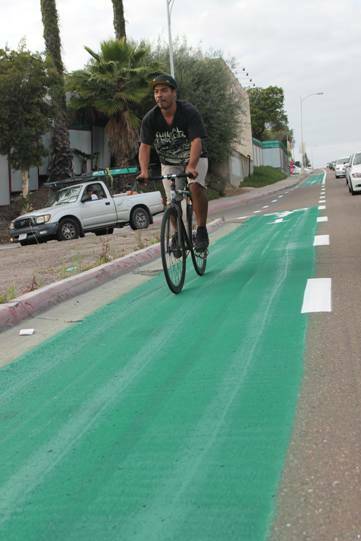 The Active Transportation Manager at the City Heights Community Development Corporation (CDC), Randy Van Vleck, sent out an email yesterday stating that the bike lanes on 54th Street had been upgraded with green paint. 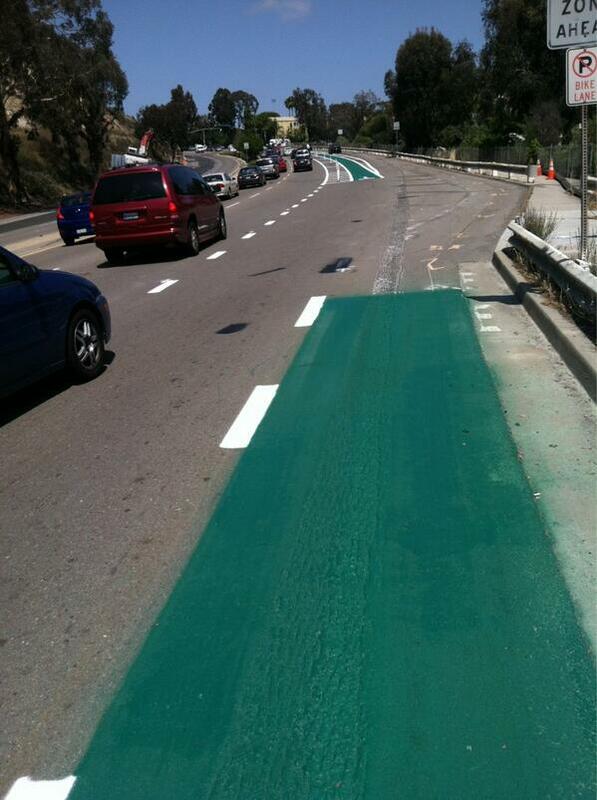 The standard bike lane was upgraded with green treatments to alert bicyclists and motorists of the conflict point on the north-west corner of the 54th St & Uni Ave intersection. 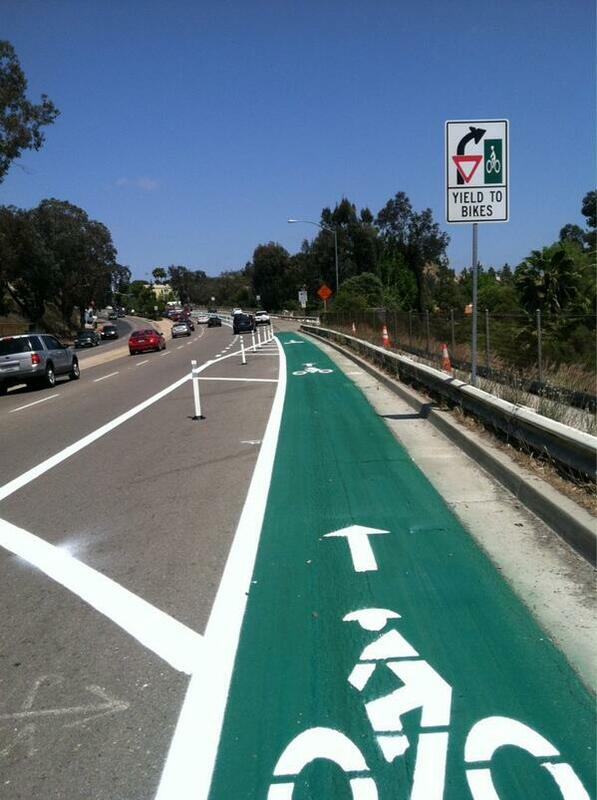 The treatment also includes bike lane dashes in the conflict point and a “Yield To Bikes” sign with an image of a green bike lane; the first of its kind in San Diego. There’s still a lot more work to do at this intersection to make it safe for all people, especially pedestrians, and for it to reflect the principles of the California Complete Streets Act and new California Highway Design Manual. 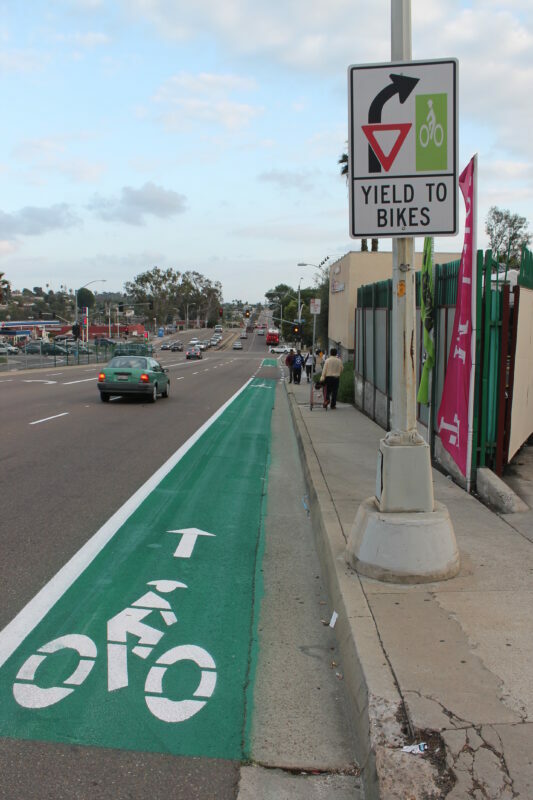 We see the green bike lane as a symbol of a commitment to not only improve safety for active transportation at this intersection but to encourage it. 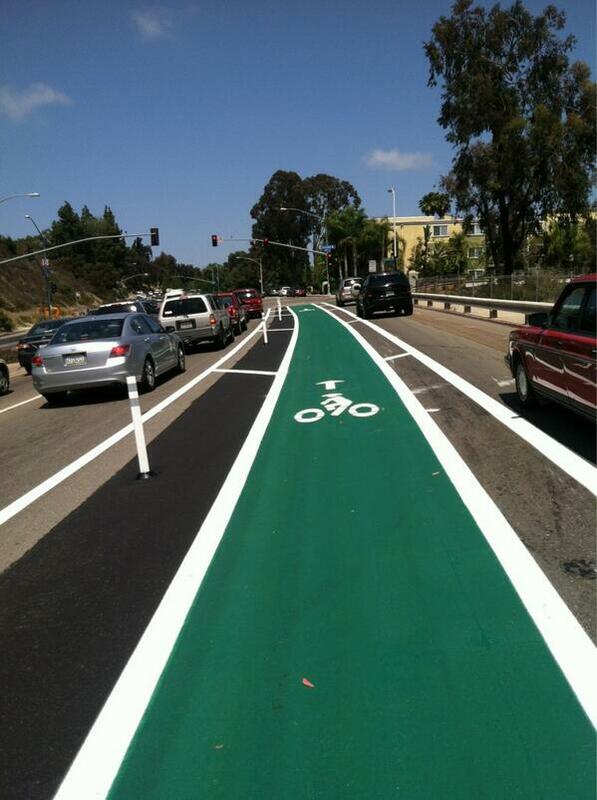 Come see the green bike lane for yourself this Friday, May 17 at the City Heights CDC Bike To Work Day Pit Stop! We’ll be on the north-west corner island of 54th St & Uni Ave from 6am to 10am with shade, free refreshments, snacks, and giveaways for bike commuters. Hope to see you then!